The error is "the object does not handle the property or the method "remove". 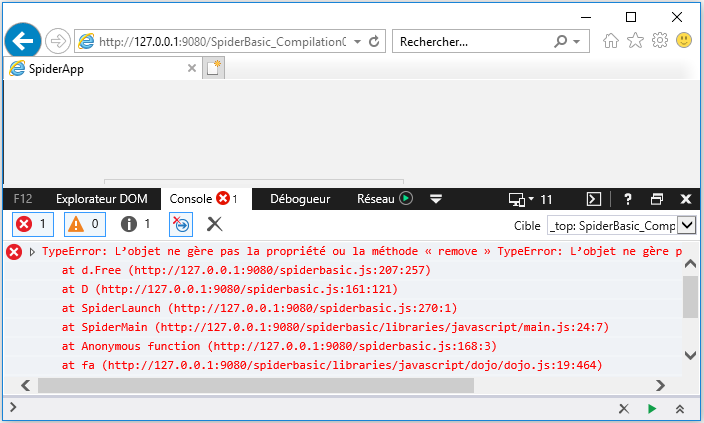 See a screenshot of the error (in French) below. ie11 is too old unfortunately, i will update the requierements. It's no more maintained since a while thought, I think it should be really deprecated by now.. Windows 7 also is end of life. OK then I will fix it so it still run on ie11, but I don't think we will actively support this browser.. Thanks for your test !